​​UFC Fight Night in Brooklyn didn't go as planned for TJ Dillashaw. The ​main event at Barclays Center was over in 30 seconds, taking with it any chance Dillashaw had at the flyweight championship belt. Nonetheless, there's still plenty of controversy around this decision, as Dillashaw was apparently caught off-guard by the referee's decision to end the fight so quickly. 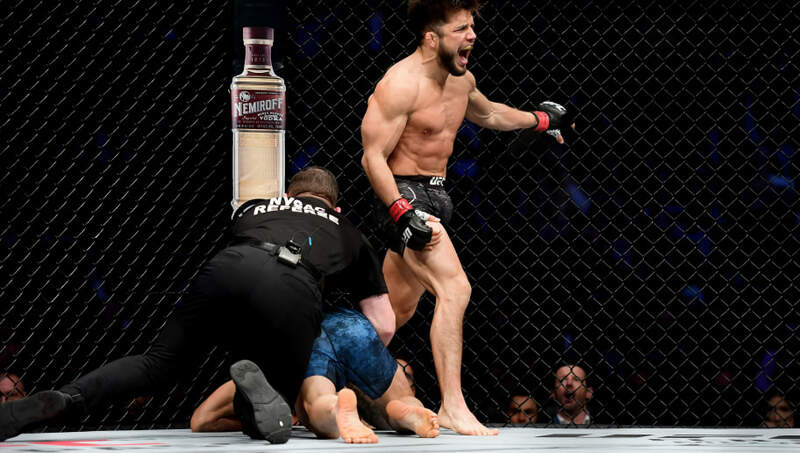 Dillashaw wants an immediate rematch after he was humiliated by Henry Cejudo, although the latter has no real reason to oblige. While Dillashaw's concern is warranted given his miscommunication with the official, this fight wasn't even close. From the outset, C​​ejudo ambushed Dillashaw, knocking him off his feet within the first 20 seconds of the first round. Unbelievable! Unbelievvaaablllleee!!! HENRY CEJUDO! Demetrious Johnson, now TJ Dillashaw. And it happened in an instant. Right hand to the temple, TJ couldn't recover. First round TKO. Claiming he has any right at a rematch after such an emphatic defeat is a bold move, but Dillashaw is marketing himself already. Cejudo's on to the next one.